One of my most popular pieces has nothing to do with guitar picks, but something else I kind of love, gummy bears. As a kid I always loved candy and was equally fascinated with candy jewelry (like edible candy necklaces). But I didn't see much of it as a kid, but as I got older I started to see pieces springing up at the mall. 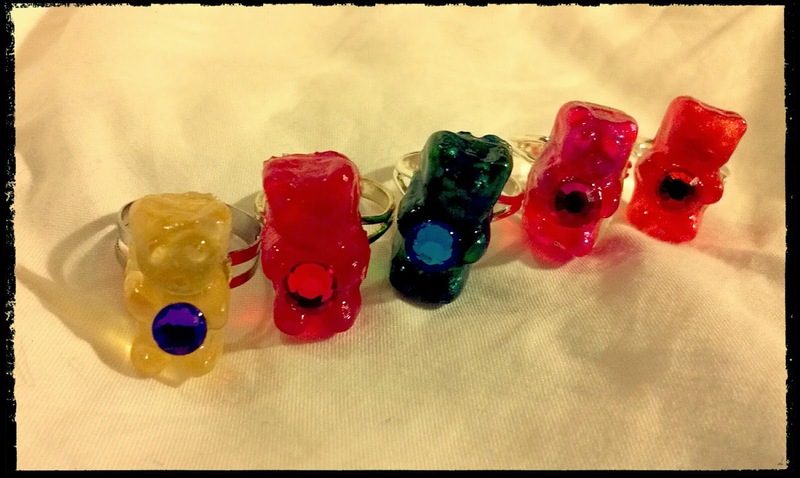 Gummy Bear Rings : Check them out here! Not only are gummy bears yummy, they're colorful, translucent and the perfect size for a charm. I first made some of these to satisfy my little girl dreams of creations I wanted to see. I showed them to friends to get their thoughts and they loved them...and wanted to buy them. So I made more and posted them in my shop. 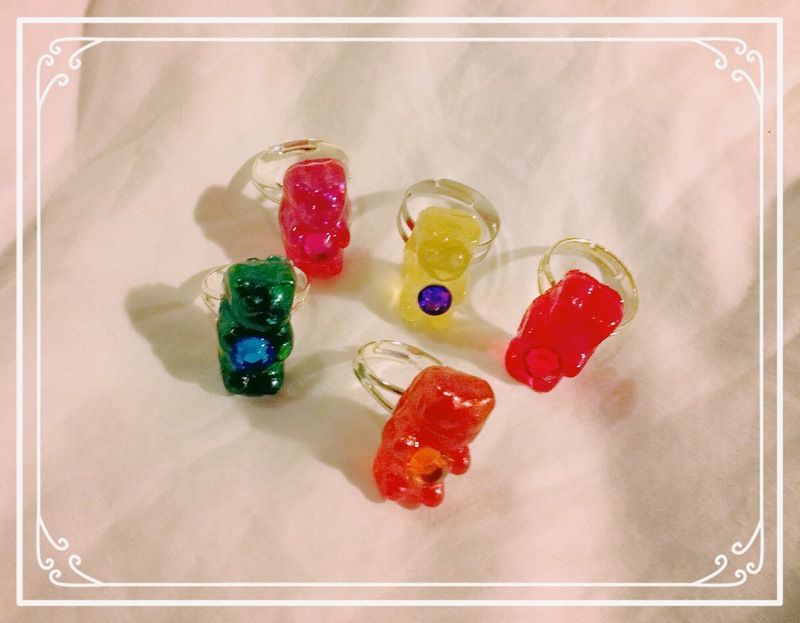 Before long my gummy bear rings received more likes on Etsy than any other item in my shop! At art shows, they are a solid favorite and consistent seller. After a detailed process of buying different bags of gummy bears and going through each one. I look for the bears in the best shape...and eat the rest! The chosen ones are then covered in paint or epoxy resin before them are glued onto a ring blank. 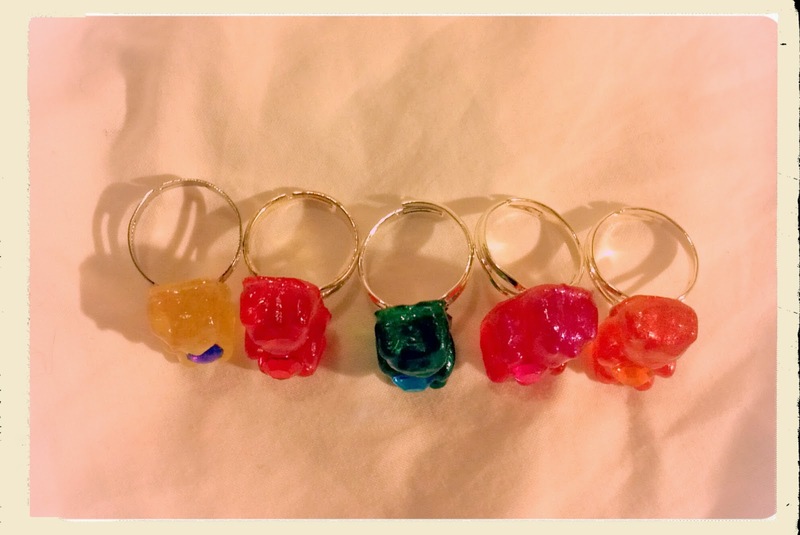 I now have 5 NEW gummy bear rings!